Designed for a more generous fit, our classic fit boxer shorts feature a back panel to avoid the uncomfortable rear centre seam; ideal for those who prefer more coverage and a relaxed shape. The waistband is also fully elasticated and can be adjusted using the traditional two-button fly. Our luxury boxer shorts are supremely light and cool, keeping you comfortable, no matter the season. Every check, stripe or print you see at Derek Rose is created in-house in our London design studio, and this Otis 11 woodblock inspired repeat print is no different. 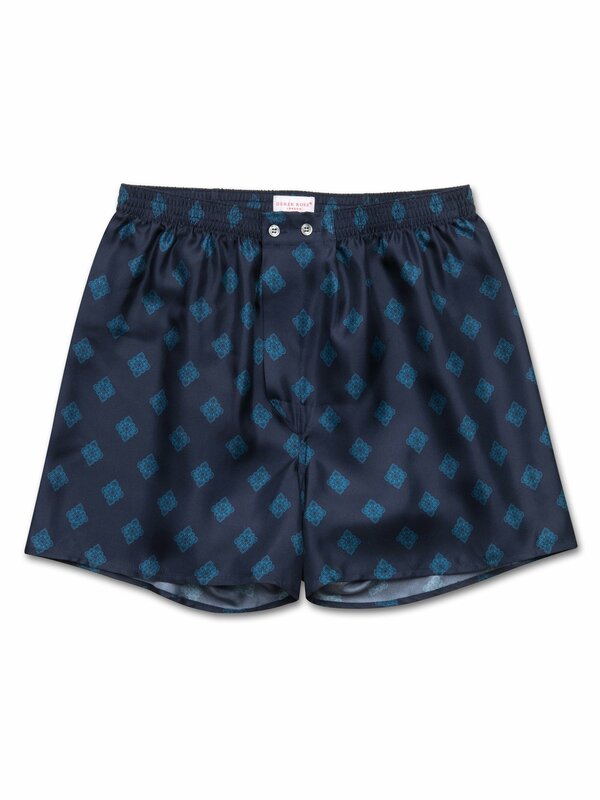 Digitally printed in Italy on the finest silk, we cut and hand-make these boxer shorts in our workshop in Cheshire, England, ensuring we uphold the supremely soft and elegant twill finish.